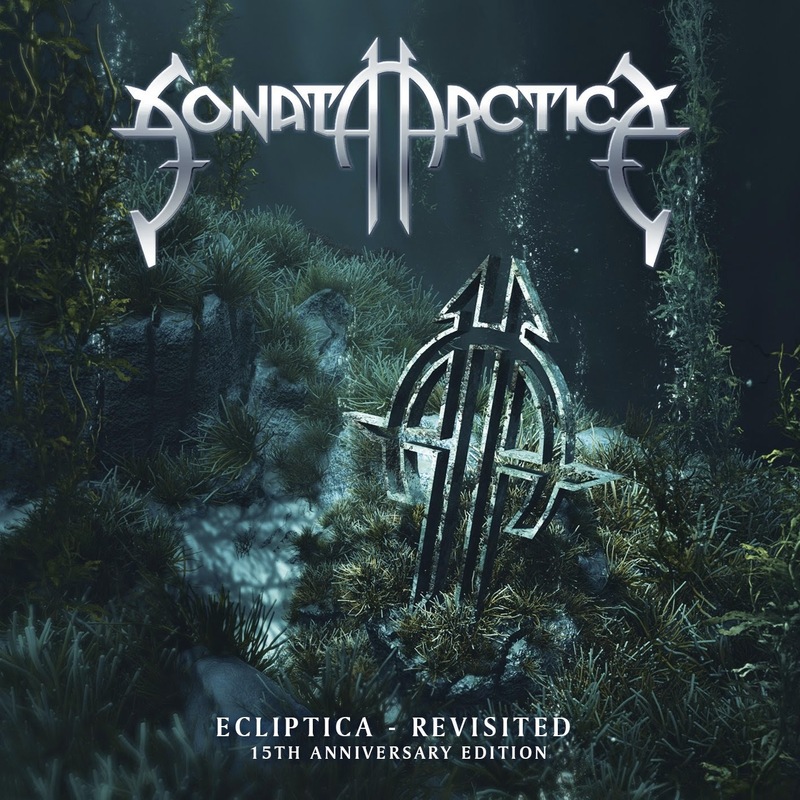 Rock & Metal 4 You: CD-Review: Sonata Arctica - "Ecliptica-Revisited: 15th Anniversary Edition"
CD-Review: Sonata Arctica - "Ecliptica-Revisited: 15th Anniversary Edition"
2014 is going to be THE year for the Finnish Melodic Metal heroes of Sonata Arctica. In March a fantastic new album ("Pariah's Child") was released, a world tour followed and now a re-recorded version of the bands first LP "Ecliptica" hit the stores. I don't know where they have taken the time to record this album, but it is set to be a celebration of the 15th anniversary of their debut. I know that many Sonata Arctica fans admire the original album. 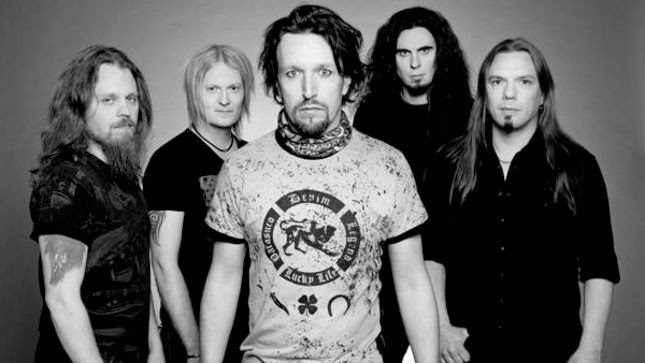 Especially the fans, who don't like the stuff Sonata Arctica are doing nowadays. "Ecliptica" became a Power Metal classic and it's always hard to make a re-recording that does justice to the original album. To those of you, who might think Sonata Arctica do totally different versions of their well-known songs I can say: don't be afraid, the band didn't change much of the original concept - you won't find any progressive or ballad versions of "Blank File", "My Land" or "Kingdom For A Heart" on this album. It is just "Ecliptica" with an updated sound. With that said the question is: makes it sense to re-record this album? And the answer is simple: in this case, no it doesn't make any sense. I think re-recordings can be made if you add something new to the songs, a special twist or something like that. Something that refers to the old, but brings something new to it at the same time. "Ecliptica-Revisited" doesn't do this, so if you have the original album in your collection, you don't need this 15th anniversary edition. For all of you who haven't bought the original album so far this new version is essential, because it makes the very good original album even better. I know it is a tough thing to say the re-recorded version is better than the original, because fans from the beginning associate certain memories with "Ecliptica". It's simply a nostalgic thing, but yes in my opinion "Revisited" is the better album and I'll tell you why. First of all: the updated sound. The production of the debut wasn't really that good and it is great to enjoy all the fantastic songs with a powerful up-to-date sound! The second thing is the singing style of Tony Kakko. His English pronunciation was sometimes annoying on the first record. Over the years Tony developed his vocal range and English skills, so today the vocal performance is much more enjoyable. I simply like the way he sounds today. These are the main reasons why the 15th anniversary edition is the better version, the rest stays the same so far. All Power Metal anthems on this album are still fascinating and timeless like they were back in 1999. I think there is nothing more to say: "Ecliptica-Revisited" isn't an album for the die-hard fan, because it offers nothing new and all fans will have the original album in their collection. The 15th anniversary edition is more a gift to people who discovered Sonata Arctica in recent years and don't know the older stuff from this band. For those, it is the perfect opportunity to pick up one of the best Power Metal albums of all time with an updated sound.